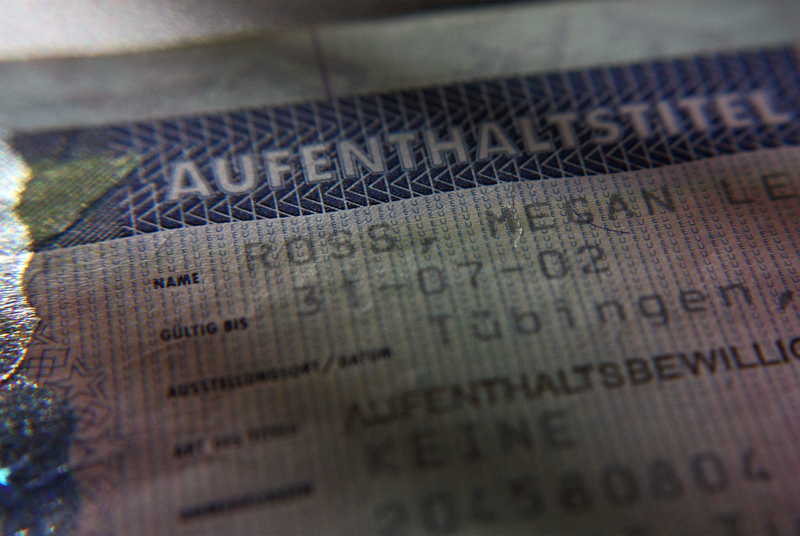 My old visa from when I studied in Germany. Let the paperwork begin! This post is a quick update about my progress to Indonesia. I am now in the midst of completing the necessary paperwork for the ELCA as well as assembling some initial documents to send off for the visa. For the visa, what I need at this time is diplomas and my TESL certificate. Then, I shall wait to hear what other stack of documents I’ll need to produce. The photo is the student visa from the year I studied in Tuebingen, Germany. That visa is in a well-loved and well-used passport that expired earlier this year. Yes, I have a close relationship with all of my passports lined with the varied stamps and visas I have acquired in my travels throughout my lifetime. Like a photo album, each stamp has a story or multiple stories. I am eagerly awaiting the stories yet to come from Indonesia and the other travel I may make in SE Asia while I live there. My renewed passport has empty pages and a stiff newness that needs to be broken in, stamped, and a fresh visa to cover the ueber-patriotic background.